This has been the 2nd time in about 7 months that I am down with serious flu and cough. It is really annoying because I can't breathe, I sneeze constantly, the outside of the nostril is itchy, nose is dripping, the throat is scratchy and painful. One word to describe my feeling - miserable with a capital M.
Since my early twenties I have an issue with taking medicine, I do not like the taste of the tablet/pill/capsule nor their after effect into my system. For years I have endured flu, cough, sore throat attacks with no medicine and letting my body heal itself. It was not a pleasant experience. Period. 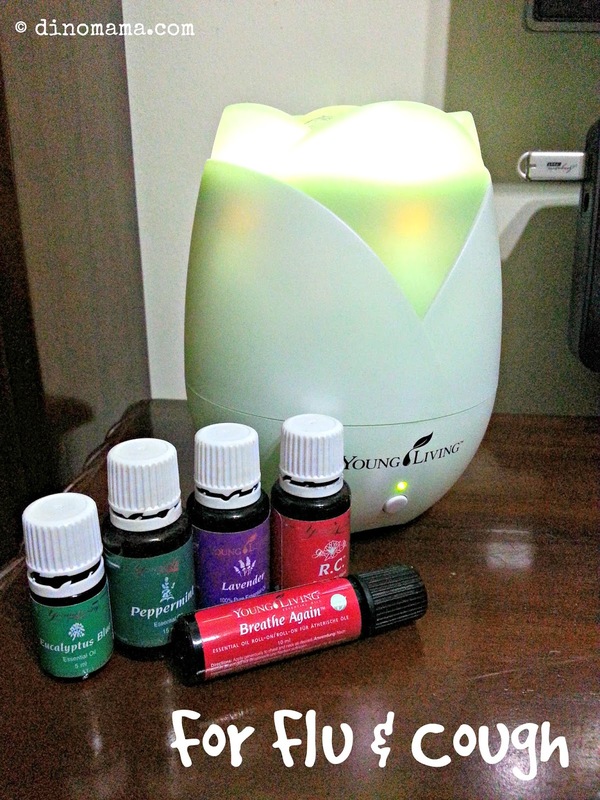 I have started to use Young Living essential oils last year and I am having better "sick days". When I am down with flu and cough (they do really come visiting hand in hand) I've got these oil to the rescue - Breathe Again, Lavender, Peppermint, Eucalyptus Blue & R.C. I started feeling under the weather on Thursday afternoon, I immediately applied Eucalyptus Blue on my naval and nostril the minute I reached home. For the past 3 days I put my diffuser to work full time even when I'm sleeping, diffusing a blend of the above oils. When I am out I brought along Breathe Again, swiping it across my nostril and roll it on my naval to makes me breathe easier and reduce my coughing. Today is Sunday and I woke up feeling GREAT! No more dripping nose, sore & scratchy throat, nose is still a little bit blocked and am still coughing occasionally but I am definitely feeling better than before. Best part is I got better without taking any medicine! 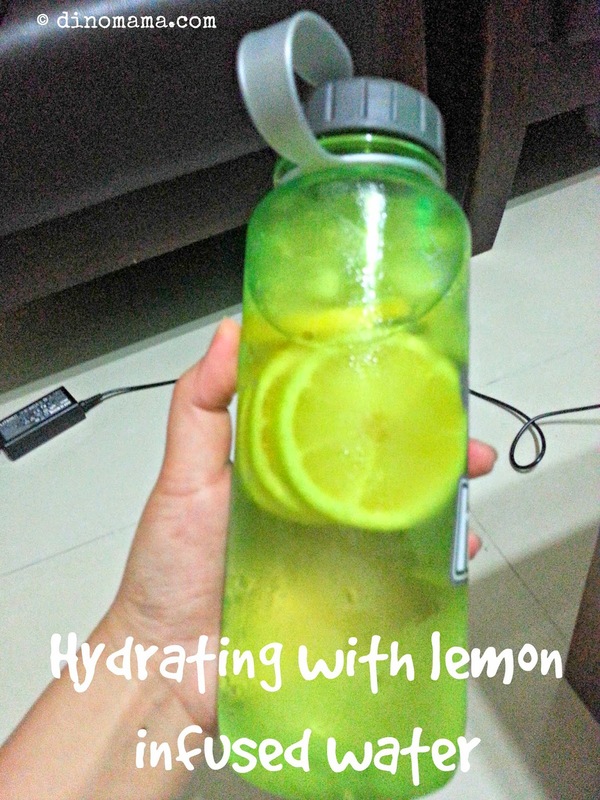 On top of the oil I am keeping myself hydrate with lemon infused water, I drink it chilled to sooth the sore throat. DinoPapa and I has started to drink infused water, they taste better and has lesser sugar than store bought juices or carbonated soft drink. If you would like to know more about Young Living essential oil, drop me a mail at jennlimbh(at)gmail(dot)com, I'll be more than happy to share their benefits and show you the road to better living and healing the body without the use of medicine.